Would you like to do something fun and unique for your next annual company party? Or is there a reason for your organization to celebrate? 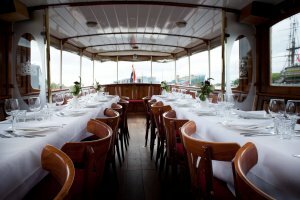 Show your appreciation for your staff with a private corporate cruise on the Vecht River! 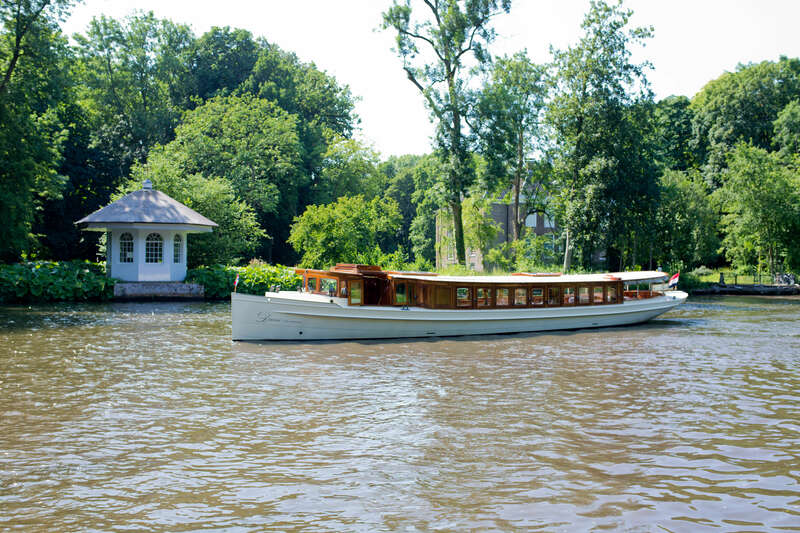 A Corporate Outing on the Vecht River is a perfect opportunity to leave the stress of the office on the shore and enjoy quality time with your employees. From the moment you step on board, you are on a short afternoon or evening ‘holiday’ together. From the water, the world looks different. 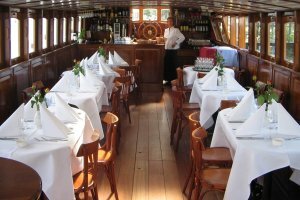 As you sail the winding Vecht, you will pass picturesque towns with rich histories such as Loenen, Breukelen and Maarssen which offer a perfect backdrop for a successful gathering. Couple your surroundings with exceptional service and catering and you have an event that your colleagues won’t soon forget. A Bite to Eat Along the Way? Would you like to have lunch or dinner during your company outing? 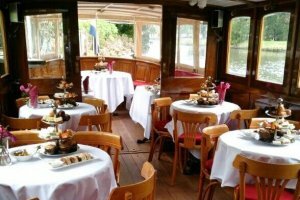 Your private saloon boat can easily dock at one of the many restaurants that line the river. Perhaps you have a favourite; if not, Rederij Belle has plenty of recommendations. 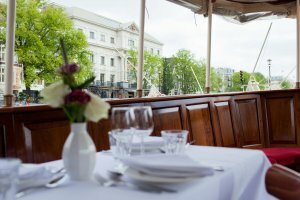 A cruise on one of Rederij Belle’s luxury saloon boats is an experience in itself. The vessels are comfortable, spacious and adorned with fine, original details. Moreover, with Rederij Belle you are guaranteed first-class catering and service. 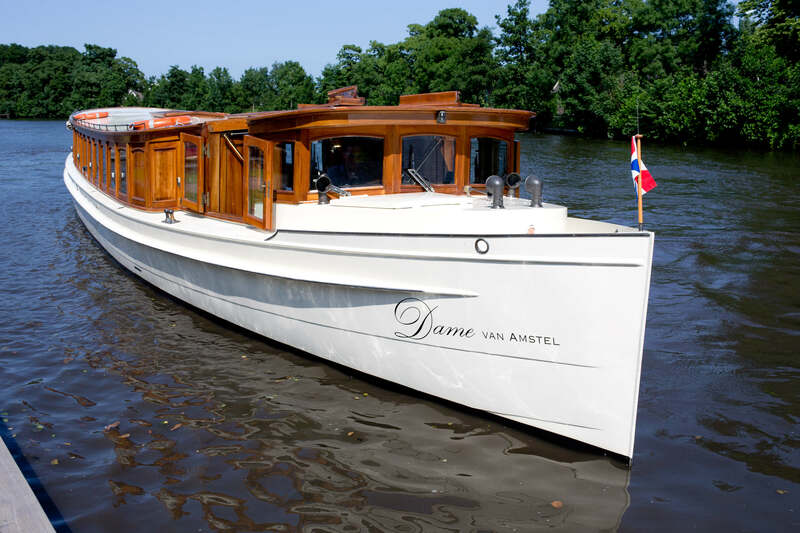 Add the gorgeous winding Vecht as your waterway and you have an exquisite outing. If you would like to take your colleagues on shore for additional programming, we can coordinate tours to local castles, cheese farms or one of the beautiful villages along the way. You may also wish to invite a ‘Vecht expert’ on board to serve as a tour guide and explain the history of the passing Vecht and its inhabitants as you sail. Together we can build the perfect programme for your corporate outing. 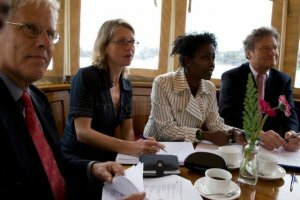 The duration of your cruise on the Vecht can be determined during a consultation. For a three-hour package, the average price is € 65, – per person.